Struggling to connect email marketing to your bottom line? Join us for a free webinar, See the Impact of Your Email Marketing with Reports. Can’t make it live? Register anyway; we’ll send you a recording. Matt Juszczak, of Turnstyle Cycle, uses email marketing to grow, engage, and retain his customer base. Growing an email list and sending unique emails to his customers helps him stand out in an increasingly competitive market. 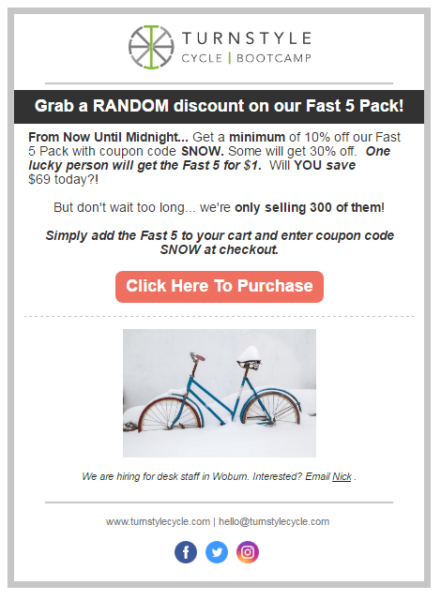 Here’s an example of a special snow-day-themed email Matt recently sent. By including a deadline and offering a mystery discount, Matt piqued interest and spurred his readers into action. What to track? Increase the impact of your email marketing by paying attention to your subscriber growth. Use your contact list growth report to see where the most signups are coming from. Make sure you’re doing everything you can to build your email list at every touchpoint. Find out how you can keep your business competitive with email marketing, using Matt’s tips. What to track? Use Google Analytics on your website and in your Constant Contact email to track spikes in website traffic when you send an email. Find out how you can drive website traffic with email. 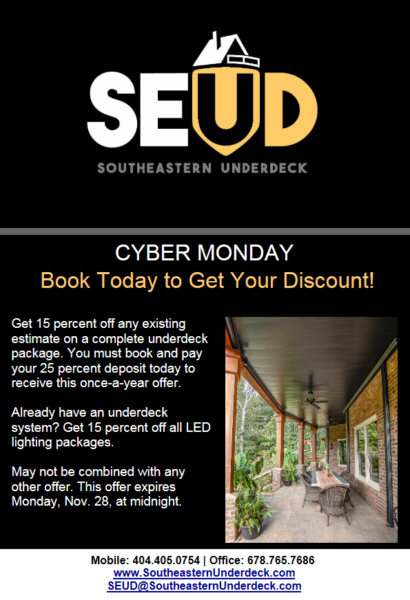 Heath Bowman, owner of Southern Underdeck Systems, sent an email offer to his contact list on Cyber Monday. What to track? Pay attention to sales spikes after you send an email. See if Constant Contact integrates with your point-of-sale system. Find out how to increase sales with email marketing. No matter your business goal, it’s likely email marketing can help in some way. Take a look at the ways other Constant Contact customers have benefited. Here are 29 other benefits of email marketing as told by small business owners. Before you send your email, ask yourself, what action do I want the reader to take? And how will I track the results? Yes, you’ll want to interpret your email reports, just don’t forget to go beyond opens and clicks and measure the impact on your business. 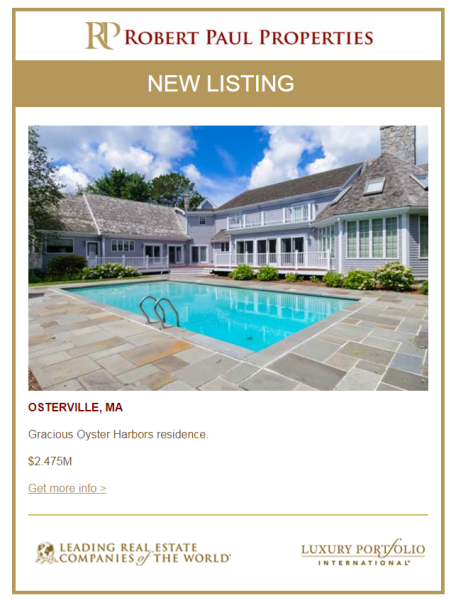 Struggling to connect email marketing to your bottom line? Join us for a free webinar, See the Impact of Your Email Marketing with Reports. Can’t make it live? Register anyway; we’ll send you a recoding. How has email marketing made an impact on your business? Share your story in the comments.